Should you get dressed up to give a priesthood blessing? Should I go to the hospital or get a priesthood blessing when I am sick? Is it okay to give blessing for the sick without using Olive Oil? What happens when unworthy priesthood holders perform blessings? Should I get multiple blessings for the same illness? What is an Oil Vault? Doctors can fix our body, who can fix our spirit? How to use an Oil Vault? How Oil Vaults are made? Dress up to give a blessing? We are currently in the middle of having the Spanish Oil Vaults made. The will look similar to the current Oil Vaults but all in Spanish, including the instructions for the blessing. * The delivery time on these Oil Vaults is 4-6 weeks. 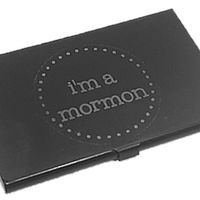 An Oil Vault is a credit card sized consecrated oil packet for use with LDS priesthood blessings. Gone are the days of hoping you have the right keychain, or that your vial hasn’t leaked, or broken off. With the Oil Vault, you will always be ready in a time of need. 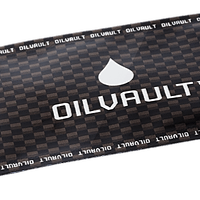 At the convenient size of a credit card, the Oil Vault will fit perfectly in a wallet, purse, or phone case. Oil Vaults are made of durable, heat sealed, puncture resistant packaging. Filled with 100% pure, unconsecrated, olive oil. Simply tear off the tab and it is ready to use. An Oil Vial that goes anywhere you go, no keychain required. 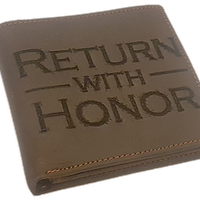 A personalized wallet filled with Oil Vaults. Perfect for any priesthood holder. In a world focused on self-help, we strive to help those around us. We strive to uplift others daily. We provide quality products that serve as a reminder to be ready physically and spiritually to bless others. We believe in loving, serving, and blessing our fellow brothers and sisters. Subscribe to get a weekly gospel newsletter to help remind you to bless others.